Thomas & Adamson have worked closely with the Highland Council over a number of years and continue to undertake quantity surveying work on our behalf. The scope of services undertaken has covered the full remit normally associated with the provision of QS services, from feasibility stage through to project closure. Recent projects undertaken by Thomas & Adamson include the provision of feasibility costs and lifecycle analysis for a wide range of new build/refurbishment school developments, as well as the procurement and cost management of individual school building projects. In terms of working relationships, Thomas & Adamson have consistently provided a high level of professionalism and care, with evidence of a strong culture and ethos within the Partnership which ensures client needs are met. I have found them to be thorough, committed and extremely responsive irrespective of the nature of the projects or work undertaken. 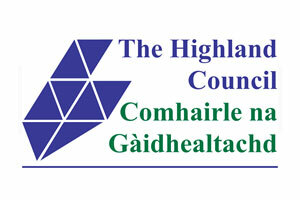 Projects have been cost managed successfully and delivered within the budgets agreed by The Highland Council, and I would not hesitate in recommending them to other Local Authorities and Organisations.